Know the three main characteristics of golf wedges (and ultimately golf clubs): loft, lie, and bounce. Loft is the angle that the club face has–the higher loft a club has, the higher the shot will naturally go. Bounce is the angle from the leading edge of the sole to the trailing edge–the higher bounce a club has, the less it digs into the ground or sand. Lie is the angle of the shaft in relation to the ground. What does all of this mean? For the average guy, not very much. As your handicap goes down, the need for the correct loft, lie, and bounce increases. Incorrect lofts can be troublesome if you have two clubs that are too close, or too far apart in loft. For example: if you have a 54* wedge and a 58* degree wedge and they are both 2 degrees off… you could thearetically have two 56 degree wedges. It is not uncommon for wedges to have 1-2 degrees margin of errors. An incorrect lie can cause your shots to either hook or slice more. If the lie is too flat (the toe is higher than the heel) your club head will bottom out on the heel first causing the face to close, and your shot to go left. The opposite of this is too upright (the heel is higher than the toe) your club head will bottom out on the toe first, and cause the face to open and your shot to go right. Too much or not enough bounce will effect your shorter shots more than anything. A club with a low bounce is harder to hit out of the sand, where a club with high bounce is easier out of the sand. However, if you have too much bounce on your club it is more difficult to hit higher shots. 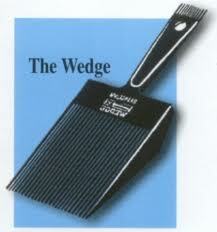 The leading edge of the wedge will be higher than the ground, and can cause you to hit shots thinly. 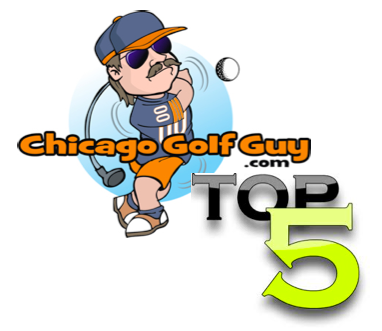 This has been a Chicago Golf Guy public service announcement, just trying to help some of us who don’t always understand what the heck is going on at a golf course. Truth be told, that is most us. Next Are you a Golf Bootlegger?